The macula is the most sensitive portion of the retina; situated at the back of the eye and is made up of number of light sensitive cells called as photoreceptors. These cells are centrally accountable for crystal clear vision. Because of number of risk factors such as age, family history and smoking, these cells start to die triggering progressive degeneration of the macula. When the macula is impaired; the center of your field of view might appear blurred, distorted or dark. The syndrome is largely categorized into two forms. Dry Macular Degeneration is diagnosed when yellowish spots known as “drunsen” start to appear on the macula specifying the deterioration of the tissue. The Wet Macular Degeneration is spotted when new blood vessels begin growing underneath the retina leaking blood and fluid. The wet form of the sickness will create dark blind spots in the central vision. Retinopathy or Retinitis Pigmentosa, is the most commonly happening progressive, degenerative disorder affecting the retina of the eye. It particularly affects the light sensitive cells of the retina known as strong rods. They send the info to the brain regarding every minuscule detail of your visualization via the assistance of optic nerves. Retinitis Pigmentosa is characterized by the vicissitudes in the pigment owing to resultant degeneration of optic nerves. This in turn is connected with thinning of retinal blood vessels as the demand of blood supply is lowered significantly. The prevalence of this disorder is related to the genetic deficiency. It is believed that out of many genes accountable for normal eye functioning, one faulty gene can causes this type of retinal malformation. Optic Nerve Atrophy is an umbrella term, categorized with the group of conditions, which limit appropriate functioning of the optic nerve; i.e. diffusion of accurate info about visual insight. Optic nerve is the central oval, pinkish region of the retina and is indispensably significant for linking retina of the eye with the occipital lobe, via networking of more than one million nerves and blood vessels. Occipital lobe is the portion of central nervous system, accountable for decoding vision. Thus, any impairment to optic nerve can ruthlessly affect central vision, peripheral vision and color vision of an individual. Optic nerve atrophy can be categorized with a mild to severe impairment to the optic nerve, because of number of reasons, like trauma, toxins, shortages, swelling, infection and/or congenital difficulties. Through conventionally obtainable options, there is no conclusive cure to reverse atrophy of the optic nerve; however, some rehabilitative methodologies can be integrated, like use of magnifying spectacles, spectacles with remedial refractive errors, normalizing pressure on the eye through use of eyedrops, etc. Also, stem cells can play a great role in reversing the symptoms of this ailment. 6. 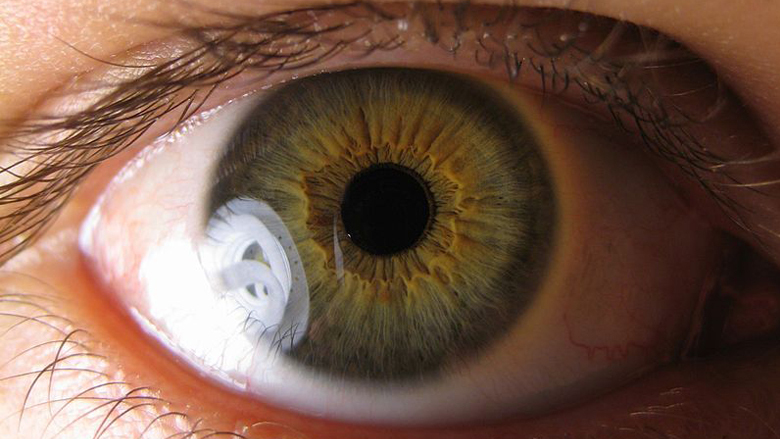 Can eyes be transplanted? I am Rahmaan from Bangladesh, 45 years in age. I was detected with Eye Disease 1 year before. I am thankful to the experts and eye expert doctors of StemCellCareIndia.